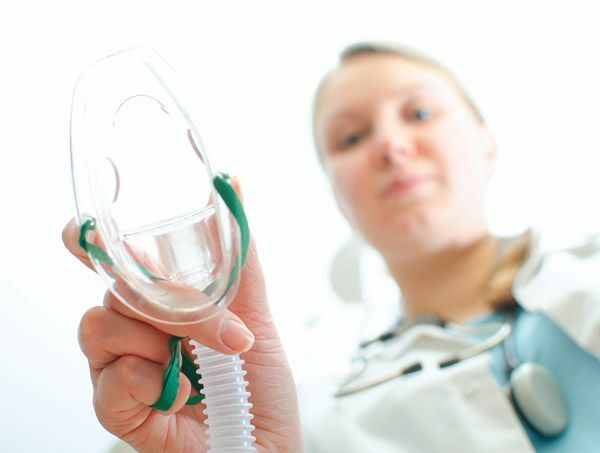 Anesthesia injuries: Is it medical malpractice? | Jason R. Schultz P.C. Anesthesia injuries and anesthesia errors: Are they medical malpractice? Administering and managing anesthesia (pain relief) during surgery is a delicate process that must be monitored by a team of highly trained professionals. The medical team must exercise extreme care to make sure there are no anesthesia errors or complications. Anesthesia injuries are rare, but can be quite severe and may include permanent paralysis, coma, and even death. Some anesthesia-related injuries may constitute medical malpractice, while others are just unfortunate happenstances. In order to have a viable case that you can pursue to recover damages, certain elements must be present and you will need adequate proof to substantiate your claim. If you or your loved one recently sustained injuries as a result of anesthesia mistakes, contact our medical malpractice attorney at 404-474-0804 to discuss your case during a free, no-obligation consultation. What are some common types of anesthesia-related injuries? When you go in for surgery, you depend on your providers to carefully, skillfully, and mindfully perform their job. Slight miscalculations or inattentiveness can lead to instant devastation. Anesthesia errors and complications can manifest in a variety of symptoms depending on the severity of errors and your medical team's response. When your surgeon or anesthesiologist does not properly respond and tend to anesthesia complications, the effects can be catastrophic or fatal. The most serious anesthesia complications typically involve general anesthesia used for major surgical procedures, which results in a total loss of consciousness. A lot of complications also arise with spinal anesthesia, such as epidurals during childbirth, which is used for lower body surgery. Other common injuries caused by anesthesia complications include the following. What are some types of anesthesia mistakes that can occur? There are strict protocols the anesthesiologist and support staff must adhere to when planning, administering, and monitoring a patient’s anesthesia. Poor training, poor staff-to-patient ratio, a failure to obtain and verify the patient’s medical history, and simple carelessness can all contribute to mistakes, which can cause permanent damage. Our firm has helped numerous patients file medical malpractice cases over the years, some of which were directly related to anesthesia mistakes. Below are some of the most common errors we have come across. When your medical team fails to monitor your condition and your anesthesia throughout every stage of your surgery, and severe injuries result, you can hold them accountable. This can be done by filing a medical malpractice claim or lawsuit against the liable party and seeking financial compensation for your associated losses. Do my anesthesia-related injuries qualify as medical malpractice? Anyone in any profession can make an honest mistake at any time. Not all mistakes constitute legal malpractice, though. In order to have a valid claim or lawsuit that you can purse, you must be able to prove the following. Breach of duty – The anesthesiologist, support staff, hospital, or other party that was responsible for providing you with care acted in a way that was contrary to the normal standard of care. In other words, if the anesthesiologist acted carelessly or made mistakes that other anesthesiologists in their position would not have made, her actions might constitute malpractice. If, however, the anesthesiologist followed every rule and protocol as required, exercised due diligence and caution, and made decisions that other medical experts would agree with, (but you still suffered a complication), the case will likely not hold up. Causation – In addition to proving a breach of duty, you will need to be able to demonstrate that the anesthesiologist’s negligence caused your injuries. If you were hurt or suffered complications, but it was not directly caused by the physician’s mistake, you cannot hold the anesthesiologist liable for your harms. Who can assess my case and help my get financial compensation? Winning a medical malpractice settlement could make all the difference in your and your family’s life. If you suffered needlessly at the hand of a medical professional that made unreasonable mistakes, you owe it to yourself to seek justice and payment. Your first step to recovery is to discuss your case with a medical malpractice attorney to determine liability and the validity of your case. For a lawyer in Georgia who is passionate about helping injured patients and their families secure the funds they are entitled to, contact The Law Office of Jason R. Schultz, P.C. today at 404-474-0804.